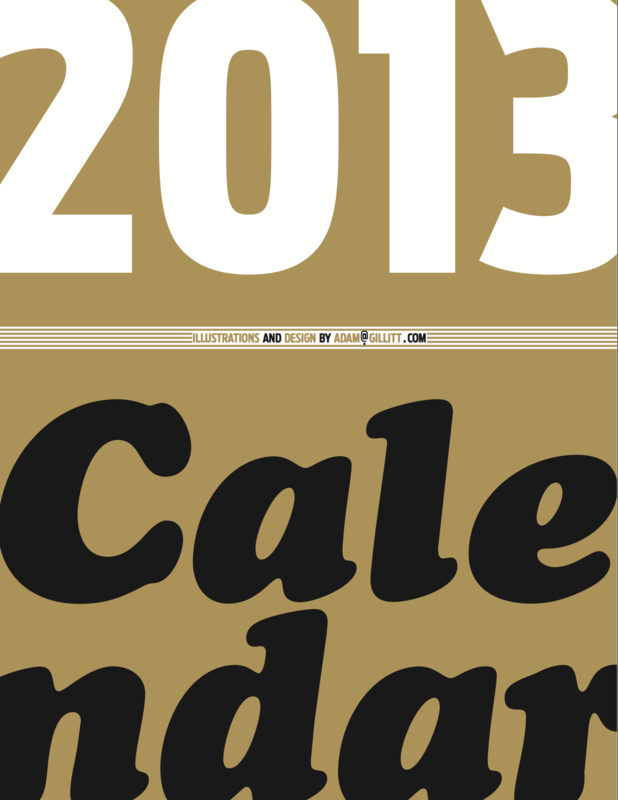 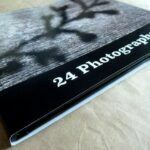 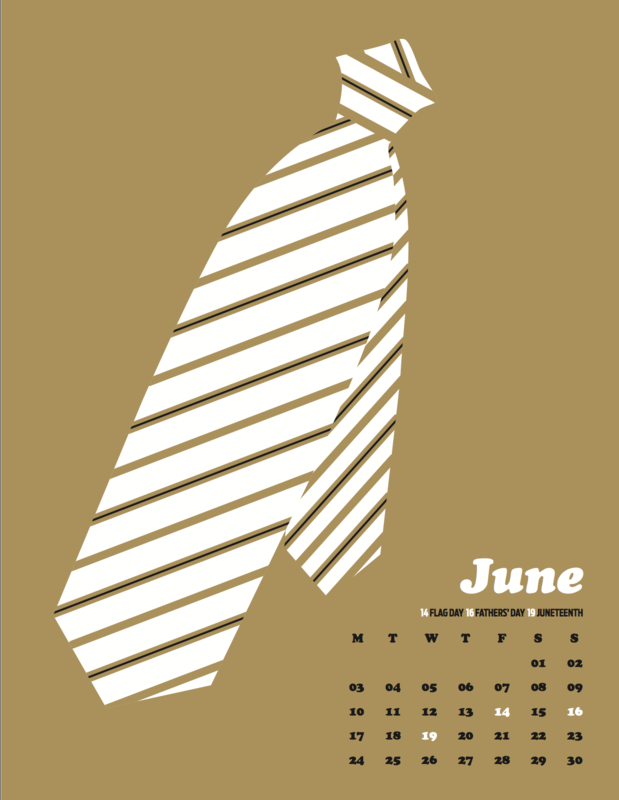 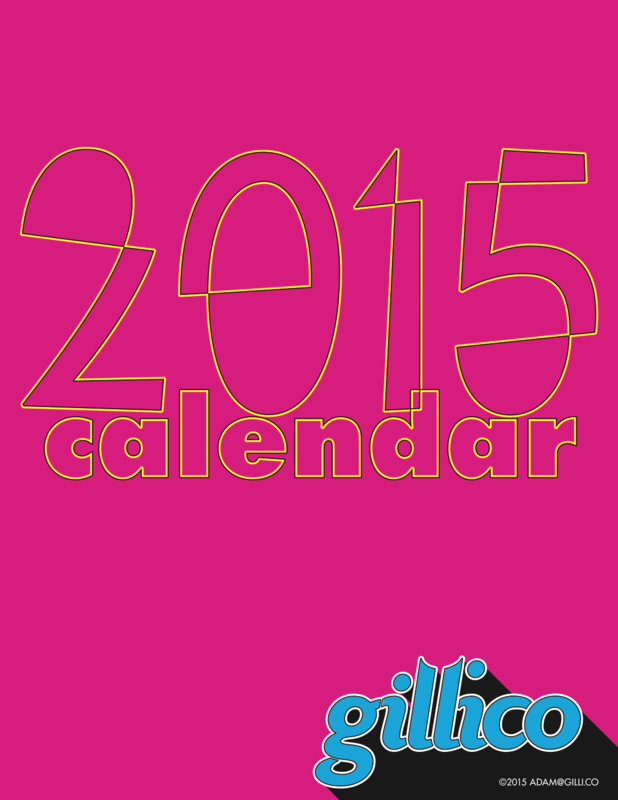 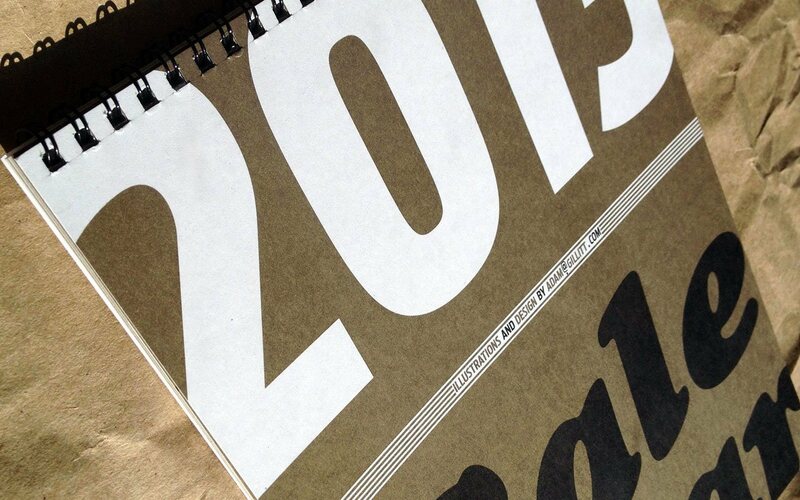 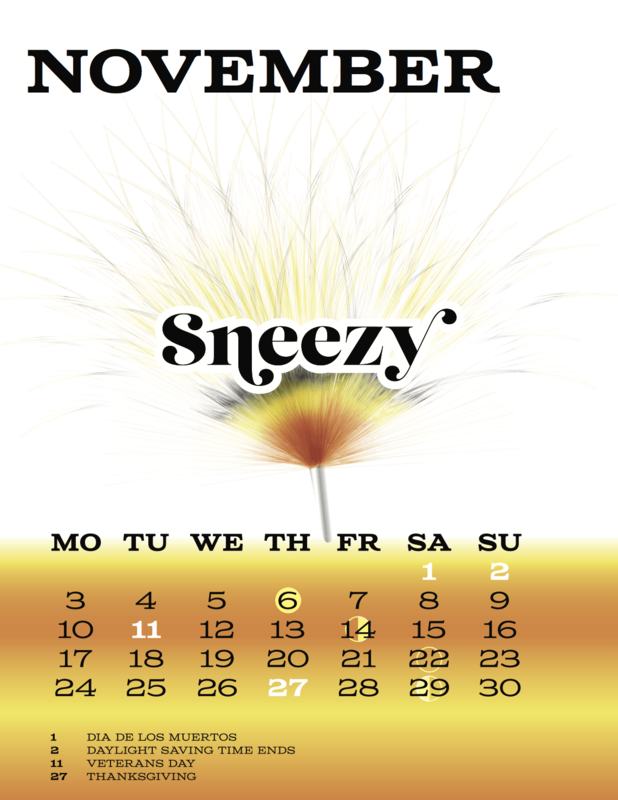 As a gift to my friends and clients, for a few years, I designed and produced a calendar for the upcoming year. 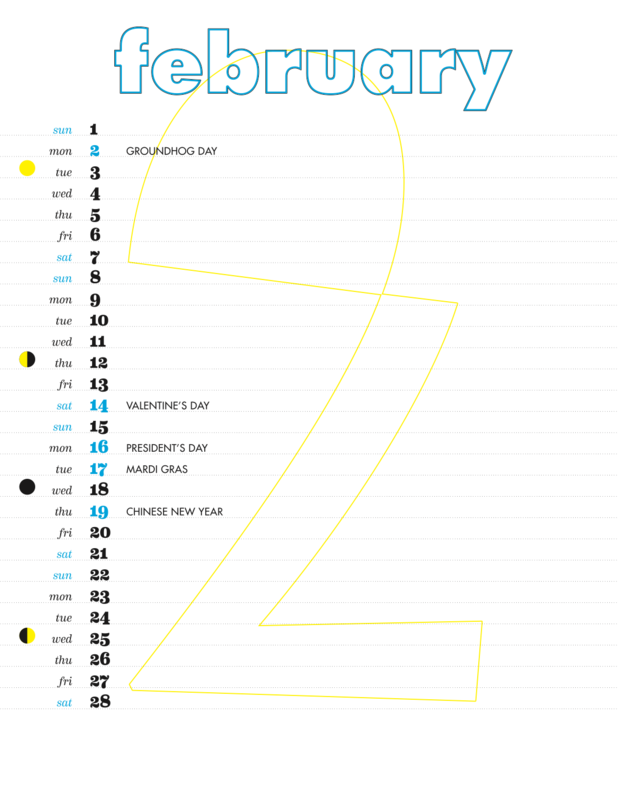 Each year I set myself a new theme, and created a unique design for that year. 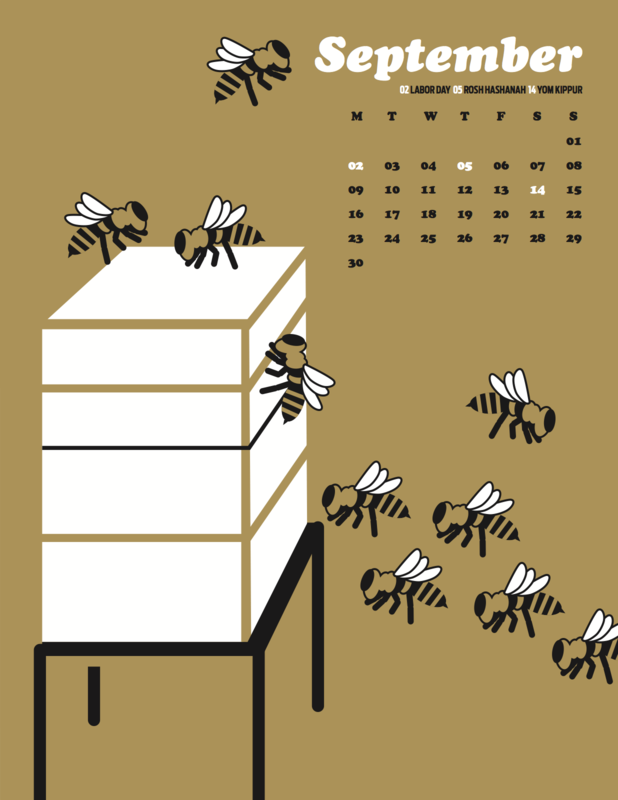 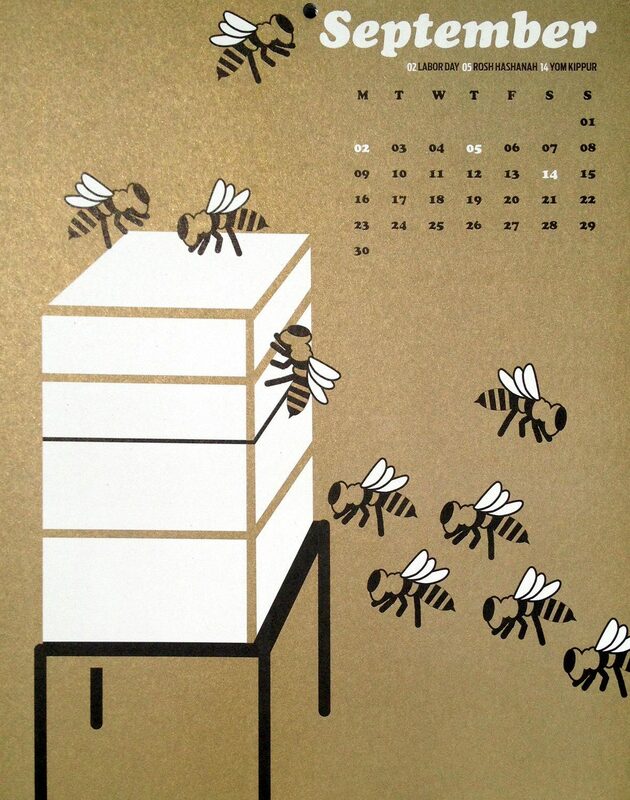 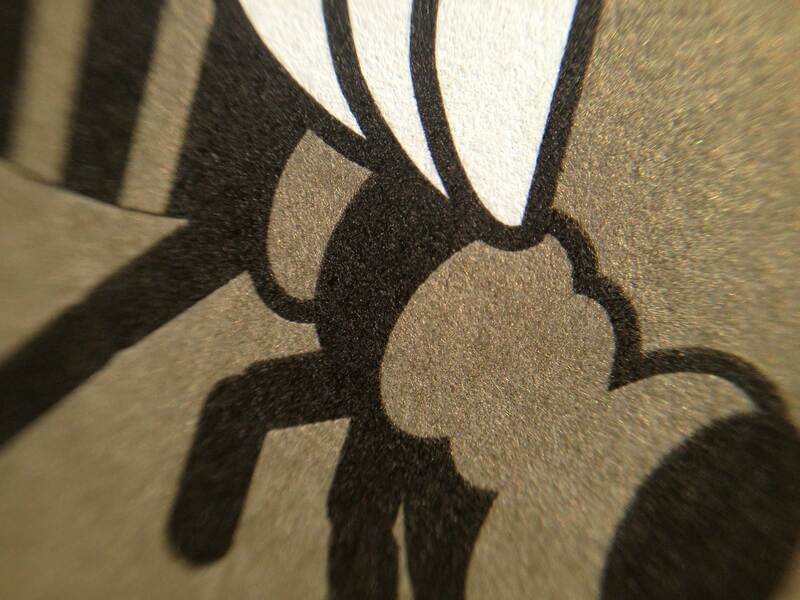 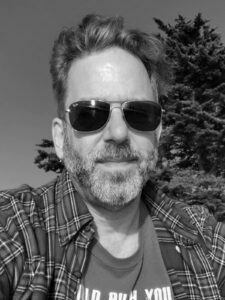 The first, for 2013, was comprised of original illustrations for each month, printed in only black and gold metallic ink, which created a lush texture. 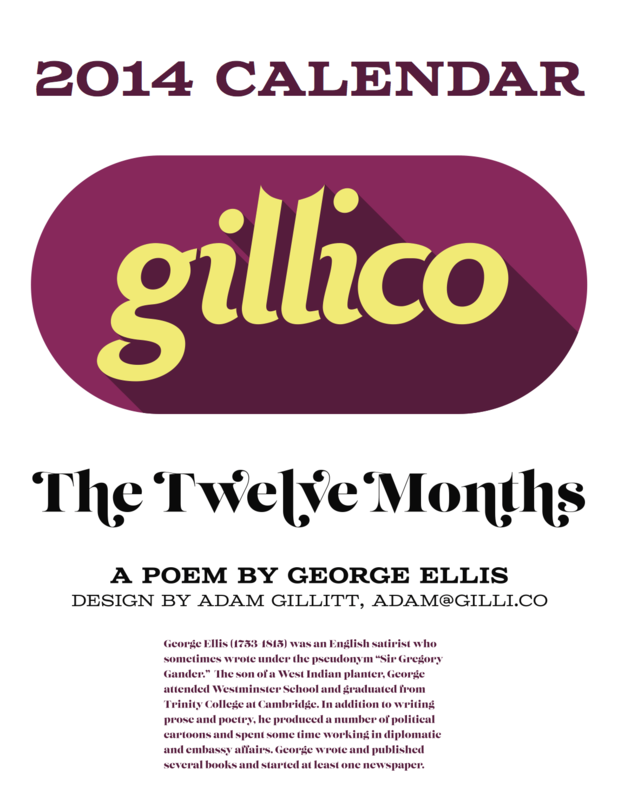 2014’s design and illustrations were inspired by a classic poem about the Twelve Months by George Ellis, and was printed in full color. 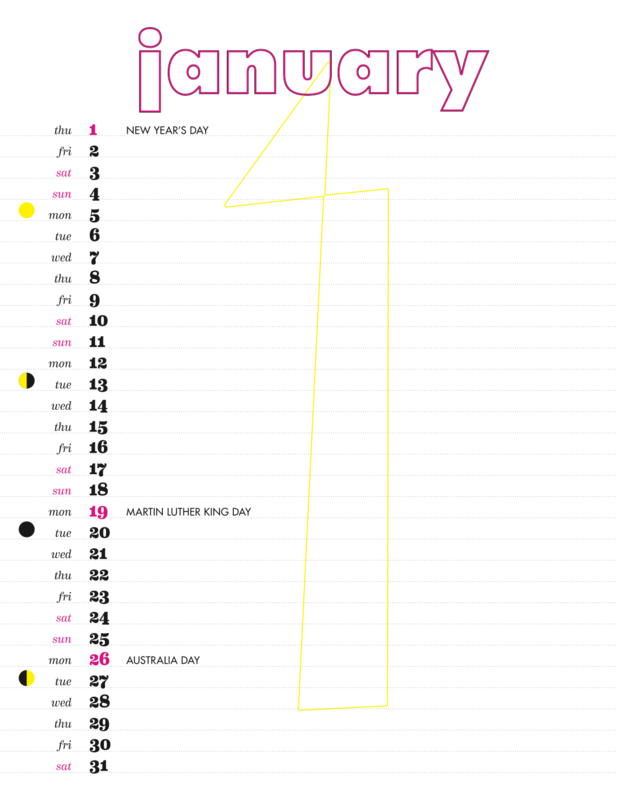 For the final edition in 2015, my idea was to create a calendar that would be easy to write on and use to keep track of appointments, amongst the proliferation of calendaring apps for computers and mobile devices.